For Part 1 of this “Life” post, click here. By the end of 2003, the land of Australia was fast closing in. Dad had left a few weeks prior to our own departure, leaving us to say farewell to our family members. It’s important to know that when you live in a Spanish family, life can be a little… crowded. But alas, family is family right? We spent our remaining time in the warmth of our family – the days reserved for the odd family member we would see every once in a while, the nights being used to spend time with our grandparents. But it was soon over. With a bag full of clothes and a handful of English phrases in tow, I boarded a plane for the first time. It was a rather ordinary flight but as you could probably guess, it was amazing through the eyes of my 6 year old self. I remember having the window-seat, and so I spent the next 24 hours staring at clouds. The excitement of being in a plane soon faded as the day turned into night; the white clouds into a dark sea. I shortly fell asleep. I awoke as my mum nudged me in the shoulder, the newfound sunlight seeping in from the window. The plane was flying lower now, circling around the city of Sydney. It was something I had never seen before – high rises, buildings, bridges and roads stretched as far as I could see. As the plane started it’s descent, it became harder and harder to contain my excitement. The aircraft came to a pause, people shuffled their way outside and I suddenly found myself in the cold, neatly paved parking of the airport. Dad had been waiting for us with a bright red minivan (which sadly, we don’t own anymore). We hopped on and 2 hours later, we had arrived in the middle of Australia’s suburbia – the Western Suburbs. At the time, I had a very little idea of how the world worked, how Australia worked and how long I would be staying here. It never occurred to me that I would still be in the same suburb, 11 years later, writing about the same day. Hi Everyone! So for the first “Life” related post on this blog, I decided to talk about my travel from my home country Ecuador to the land down under, Australia. I’ll be making the overall story in parts, so check them out every week. The farthest back in my memory I can go to is the age of 4. I vaguely remember moments before this age, but this was around the time I became conscious of the world around me. My family lived in a four story building which my grandparents owned and much of my childhood was spent playing in the outdoor area on the second floor. My mother, who had left our country to look for a new place for us to live, has a very little role in my early childhood memories. 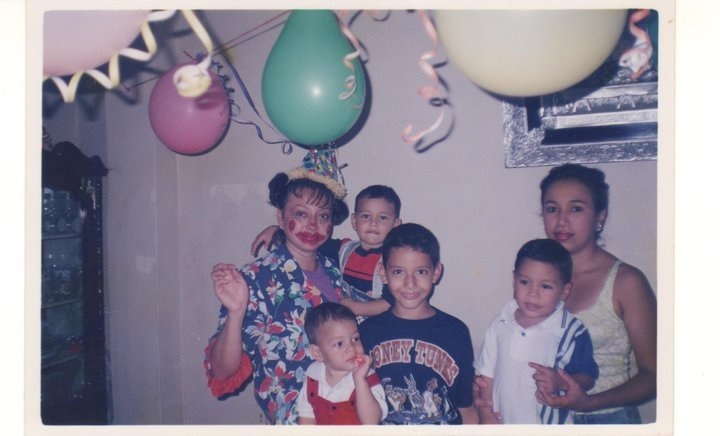 My grandmother instead had taken that mantle – “Mami Chenita” being what my two brothers and I called her. Our grandfather (who was adequately named “Papi Ramon”) was perhaps the person I felt most close to though. I was very similar to him apparently, a younger version many would say (I have him to thank for the green/hazel eyes). I would play away the days with my younger brother, the older one much to old to concern himself with us. Looking back now I had a very happy childhood. Yet in spite of this sunshine-filled existence, I was completely and utterly oblivious to what my mother was going through in finding a new place to call home. My memory is very sparse between 4 – 6. As far as I think I know, mum had come back to us when I had turned 6 with our new step-father in tow. It was an interesting year – my mother had placed a larger interest in English and talked of an “Australia”. Now I had no idea of what Australia was – I think I thought it was an ice-cream flavour rather than a country. I do remember thinking I was great at English though, or at least enough to authorise me to teach my grandma the language. In any case, by the end of the year “Australia” became all that dad and mum would talk about. The wonderful land of Australia.